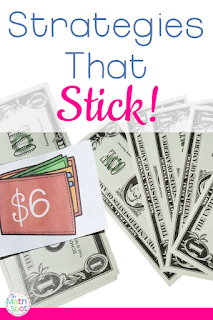 Teaching Math Strategies that Stick! "They have great rote procedures but they struggle when it comes to the application". It's so common! There are steps we can take as teachers to help teach our students strategies in ways that allow the strategy to transcend "procedure status" and to stick! 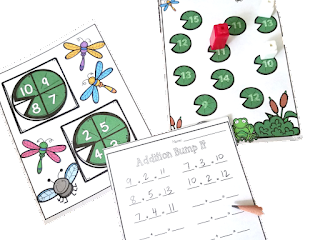 If I am teaching a strategy such as counting on to add, I want immediately link back to what my students already know about addition. If my students know that addition puts parts together, when we talk about counting on we will be talking all about how this is a strategy to put parts together. Down the line when your students see an addition sign, they won't default to the counting on procedure because "the plus sign means I grab the bigger number and count on". They will default to counting on IF it is an appropriate strategy because it is the most efficient strategy to put parts together. So how do I teach my students to count on without outright stating "We can count on to add parts together. You count on by..."? I give my students a context that lends itself to counting on even though they don't yet know that strategy! In this example, you can see that I have told my students there are 7 bears in the cave and 3 outside. I want them to figure out how many bears there are altogether without ever getting to see the bears inside the cave. This scenario lends itself perfectly to the counting on strategy. 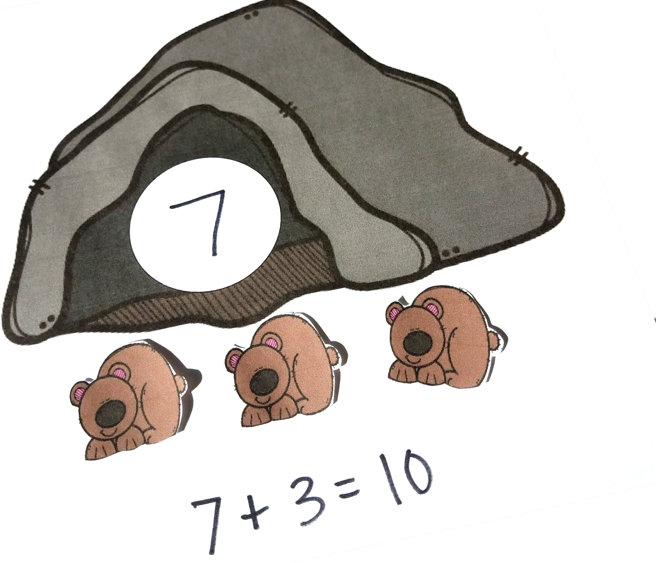 Once my students think they have solved the problem we can get out manipulatives to show 7 bears in the cave and 3 outside and discuss whether or not our counting on strategy was successful in putting the parts together. When teaching a new strategy that is more abstract in nature such as counting on, it's always helpful to think CRA. Concrete, Representative, Abstract. 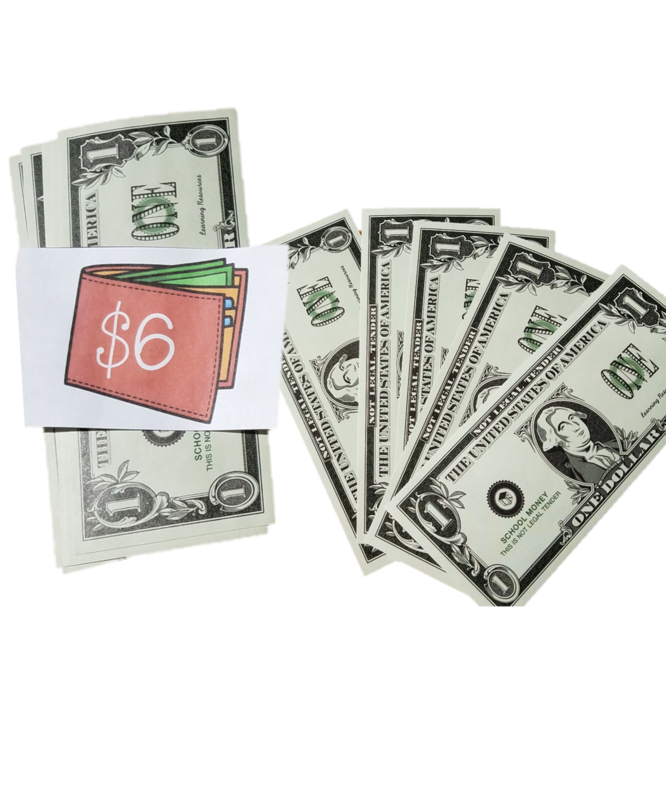 This means that when I begin teaching the strategy to my students I may start with an activity where I show them a wallet and tell them that there are $6 inside. Outside, there are $5 more. Students can try the counting on strategy but can touch, feel, and manipulate the dollars to solidify their thinking. At some point, I would want to move to a more representative model such as the pictures of the bears in the cave shown above. In this way, our students are able to "trust" that there are a given number of bears in the cave. They are beginning to be comfortable manipulating the numbers without having to physically manipulate the scenario. 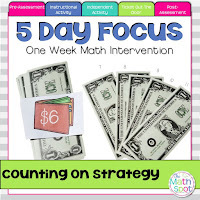 Ultimately, when teaching counting on or when teaching any variety of other math strategies, you will want your students to be able to perform the strategy given an equation with pencil and paper or mentally. This is the abstract level and is best reinforced once your students have solidified the strategy through concrete and representative means. Following these three steps will help to ensure that the strategies you are teaching are sticking for your students. You are truly teaching strategies rather than a standalone procedure!